Last week I was thrilled to get a chance to see the McLaren MP4-12C at a launch event here in town. This was a huge deal for me. 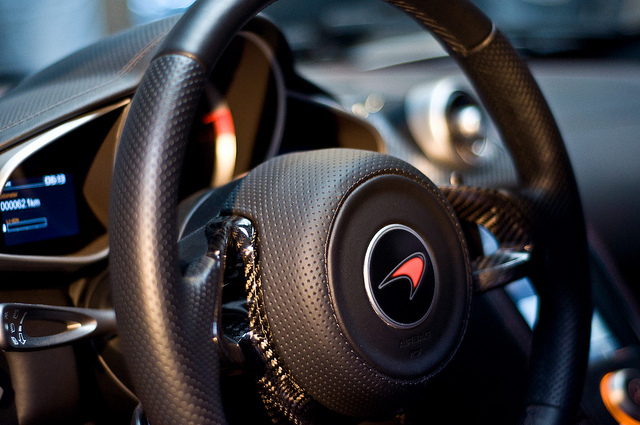 See, I'm kind of obsessed with McLaren. I love the Formula 1 team and idolize the irreplaceable F1 roadcar. The new car will never be the F1. They're going to build a lot of them and it's aimed more at Gallardo buyers than the change-the-world visionaries that seemed to flock to the F1. That's not to condemn the new car, it's great that it has a wider appeal and if anything it's a signal of progress to know that a lot of the hypercar technology of the carbon fiber gold-plated F1 will be made available on a car a fourth of its price. So what's it like? In person, it looks like the size of a 911 but with incredible and purposeful proportions. 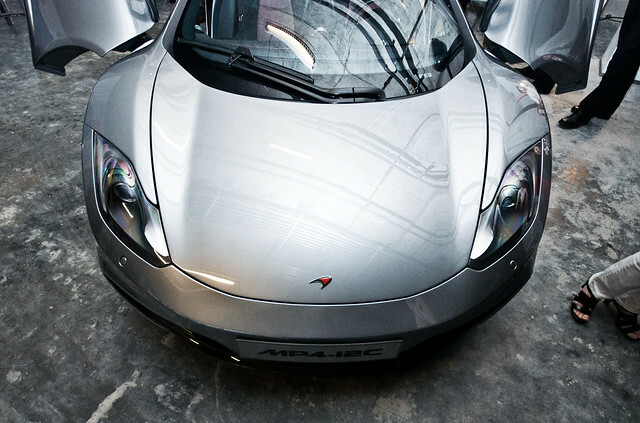 It looks special but doesn't look fragile like an Enzo, Carrera GT or even the lower-slung Mac F1. It seems made to clear real-world roadways and obstacles and just be very usable. I know that seems lame, but considering we know it has staggering performance, that just makes it even more incredible. When you sit in it, the steering wheel feels right, the paddles feel nice and the visibility is excellent. The best part though is closing that door. The butterfly doors open up and outward, and when you pull it down to close it you feel that the mass of it is next to nothing. I think just the door will be the biggest selling point. I wrote some more in my article about it, but it's also got these chrome-finished brake calipers that look like the finish of the F1 car. The whole thing is well done and brilliantly executed. They start deliveries here around October — who wants to give me a full shoot with one?